At F.P.C. Industries, we have what you need for your fences. 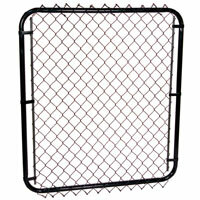 We carry a wide variety of fencing supplies with helpful staff to guide you to what you need. We also offer installation and repair of fences in rural and urban environments. Call your chain link specialists today! F.P.C. Industries is known throughout southern Saskatchewan as the chain link specialists. 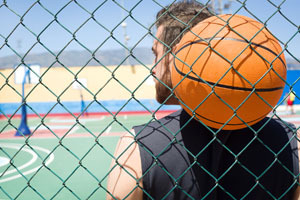 For more than 35 years, we have been repairing, installing, and supplying chain link fences. Located in Regina, we employ fencing experts, who are knowledgeable, professional, and ready to work for you. We offer competitive prices on all of our supplies and services, so what are you waiting for? Get in touch with F.P.C. Industries, the oldest chain link company in Saskatchewan. Is your yard, garden, or driveway in need of a lift? Ornamental iron fencing can be an elegant way to add character and nuance to your land. With many designs available and expert installation or repair specialist, we can make your home look its best. Contact us and ask about F.P.C. Industries' ornamental iron fences. 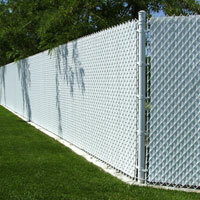 Need a fence that’s going to limit visibility, but doesn’t hurt the appearance of your yard? A picket fence is the way to go. F.P.C. Industries has you covered when it comes to picket fences. Whether PVC, vinyl, or the traditional wood, we are a one stop shop for you picket needs. Call or email today and talk to our experienced staff about your picket fence. Repairing a fence requires the right materials and equipment. We have them for you at F.P.C. Industries. Our materials and high quality and available at reasonable prices. We have personable employees who care deeply about customer service. They are happy to talk through projects with you to point you in the right direction. If more help is needed, we also can repair your fence with your supplies to ensure the best possible fencing. Your home deserves the best. At F.P.C. Industries, we aim to give the best possible installations every time. Regardless of whether you have an urban or rural home, we are equipped to get the job done. With specialists dedicated to making a difference with quality work and attention to detail, we will install a long-lasting, appealing fence in your yard. We need 2-3 weeks of lead time for each projects, so don’t delay, call or email us now! At F.P.C. Industries, we understand that you want the best for your dogs. You want them to stay safe and nearby, but also give them the space they need to enjoy life comfortably. This is why we provide portable dog runs. With a portable dog run, you can rest assured that your furry friend is safe and comfortable. We can work with any sized dog and will meet with you and your pet to ensure the best fit possible. Take care of your dogs with the help of F.P.C. Industries. Is your local ball diamond in need of repair? We can help with that. Whether the outfield fence or the backstop, F.P.C. Industries knows how to make any ball diamond like new. Why go anywhere but the fence specialist that have served Saskatchewan for more than 35 years? Call today.